The impressive, slightly masculine Devo Dining Table celebrates a classic design with a modern twist. 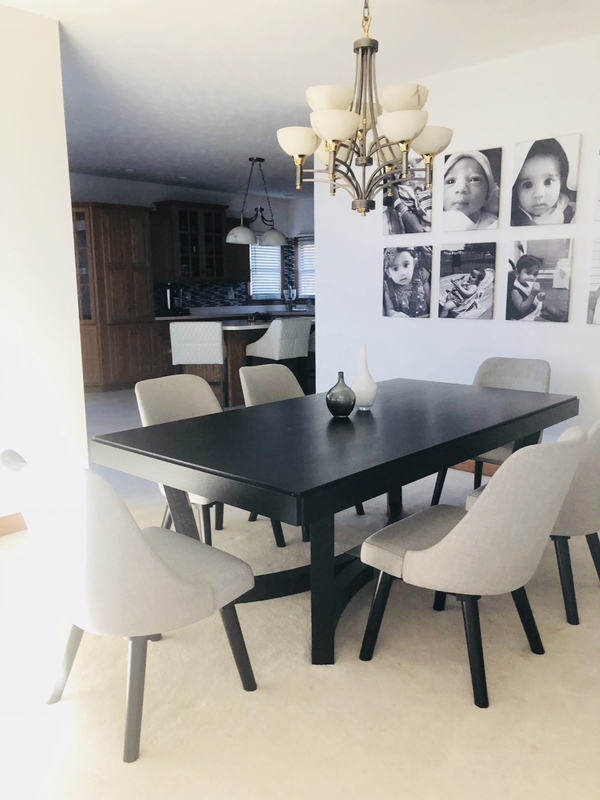 Crafted with an elegant wenge finish and sleek metal accents, this piece offers a sophisticated appearance, which is sure to enhance any transitional dining space. The oversized style will accommodate up to 10 guests. 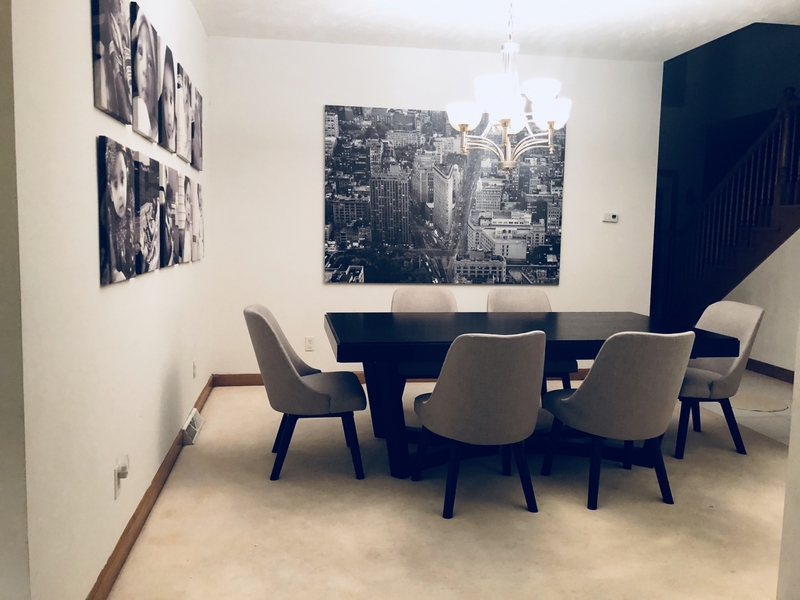 To make a bold statement, display the table with other available pieces from the Devo Collection. Exactly looks like picture, no doubt. . Extremely heavy .if you buy it please make sure enough helping hands to take it inside the house. This is extremely heavy.one very solid piece . It' over three hundred pound ..And please make sure the delivery guy unload this heavy things from the truck . The color is totally black. All said, this is a beautiful piece of furniture. The assembly instructions left a little to be desired though... Fortunately there are minimal pieces involved. The instruction pics did not have holes lined up in same orientation as the actually pieces, which made assembly confusing and more difficult than it needed to be. It will definitely require at least 2 people, as it is a very heavy piece. Once assembled it seems very sturdy. The wenge finish is a black color, not dark brown. I felt it was difficult to tell color from the picture, and many other pieces from other manufacturers show "wenge" as a dark brown. It does not look like black paint, but like a stain with some of the wood grain visible but no shade variation present. 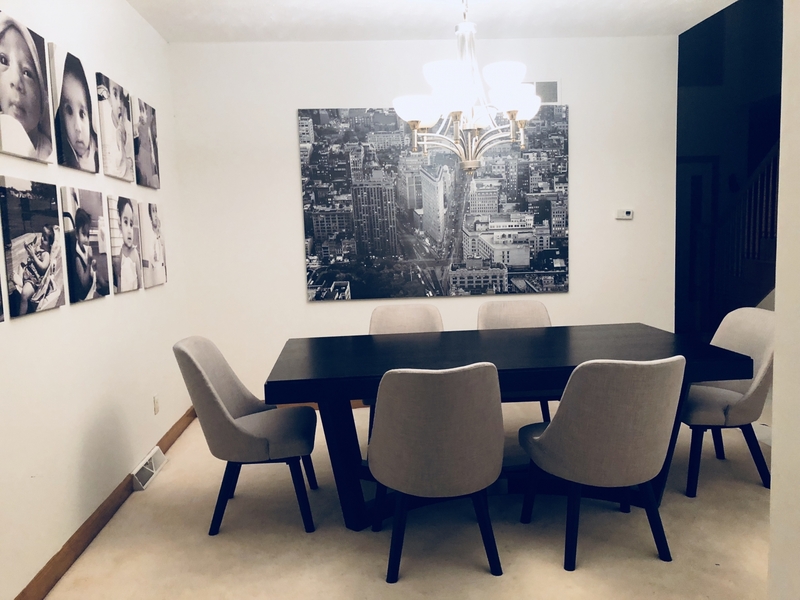 1) the length listed in the specs for this piece was 88" and the actual table only measures 84"
2) the design of the base does not allow for the chairs to be pushed in along the sides, so if you are short on space in that direction this could be a big problem. I also purchased the matching buffet which is beautiful as well.